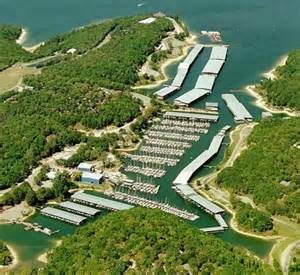 Grandpappy Point Resort and Marina (Grandpappy Point Marina) is located on the Southeast side of Lake Texoma, Grandpappy Marina Resort is easily accessible from Highway 75 – take FM 84 west and turn left at the Tackle Box Too. Grandpappy is a full service marina operating year round with 870 slips, a 35 ton marine travel lift and a mast step crane. Full repair services are available as are parts and accessories. Grandpappy Point Marina was established as a small fishing camp in 1950. Since then Grandpappy Point Marina has developed into a vast complex covering over 180 acres and offering a wide range of services and amenities. Campgrounds include group camping facilities, sheltered group picnic area, playground, sandy beach, swimming area, horseshoe pits and sand volleyball court. Wind through the forested areas on the hiking trail. The RV Park has full hook-ups including water, electric and sewer. Basic hookups include water and electric. The Caboose includes a washer and dryer, restroom and shower facilities for both men and women. Set in an alluring wooded area above Grandpappy Marina on beautiful Lake Texoma. The cabins offer an excellent setting for you next getaway to the lake. For your convenience the cabins are located with Grandpappy Point Marina, with quick access to the lake. With cabins fitting up to eighteen guests, we are confident that we can accommodate your needs. Grandpappy Point Marina offers bloat slip rentals with 35 boathouses with over a total of 800 slips. They range in size from 20’ all the way to 60’! The Dockominiums and improved slips are perfect for weekend retreats. In addition Grandpappy Marina has a fuel dock and yacht brokerage & service. The Point Bar & Grill managed by Patrick’s on the Point overlooks the big waters of Lake Texoma. Poppy’s at the Point offers exceptional cuisine and breath-taking views. Open Thursday, Friday, Saturday and Sunday. Grandpappy Point Marina is also home to the Lake Texoma Sailing club, sponsors of the Lakefest Regatta, held each spring, raising thousands of dollars for the Make a Wish Foundation. The sailing club also organizes several weekend regattas and the Wunderluck Classic. 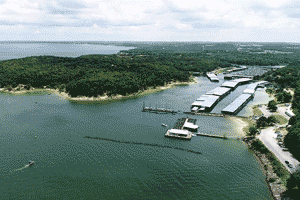 Grandpappy Point Resort & Marina has been voted “Best Marina” by the Marina Association of Texas in 2013.